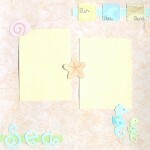 Now that the kids are back at school, it’s a great time to catch up on scrapbooking those wonderful summer memories. And since trips to the beach are almost an essential part of an Australian summer, I thought I would start with a fun beach scrapbooking idea. I don’t know about you, but I always seem to have lots of photos from zoos, animal theme parks and aquariums so this week I thought I would take a stroll on the wild side and experiment with some adorable new Party Animal rub-ons from Imaginisce. 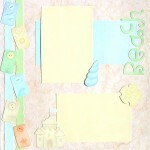 Bright colours, playful alphabets and cute 3D animal stickers are the perfect ingredients for a fun scrapbooking layout. And that’s just what I have created this week – a fun vacation layout featuring a photo from our trip to the Everglades in Florida and cheeky 3D alligator stickers. Animal stickers are the perfect embellishment for photos of a day at the zoo or a visit to a farm, but they can also be used to accent your every day photos. 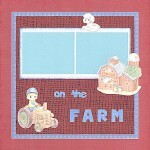 For example, I have used a cute Reminisce cow sticker to embellish this layout. Dog stickers are the perfect embellishments for layouts of our much-loved pets. 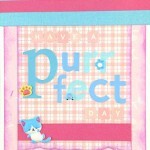 Our pets are a part of our families and deserve a special place in our scrapbooking albums. 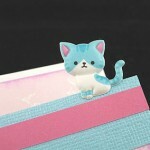 They are absolutely adorable, super cute and very cuddly, so why not reflect that in your choice of embellishments? My Mum seems to be well and truly bitten by the scrapbooking bug. This week she taken another step on her scrapbooking journey and created her third layout using stickers from our new range of Stickopotamus stickers. Horse stickers are perfect for scrapbooking layouts of horses, riding horses, pony rides, farm visits, playing with favourite toy horses (like My Little Pony) or simply photos of anyone who loves horses. One thing I love to do with my left over scrapbooking supplies is to make cards for my friends and family. So I thought I would share with you one of the card making ideas I have previously sent subscribers to my Free Card Making Classes. I hope you like it. I always seem to be pushed for time so I am constantly looking for fun and fast scrapbooking ideas to show off my photos. 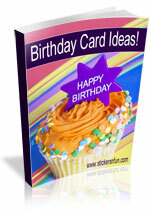 Beautifully co-ordinated papers make it easy to put together a layout quickly and inexpensively.